Gilbert “El Nino” Melendez moves back into title contention after he walked out with a W in the classic brawl against Diego Sanchez in the third featured fight of UFC 166 at Toyota Center in Houston, Texas. Both fighters had promised to make a statement prior to the bout and they certainly lived up to the hype. Melendez and Sanchez clearly stole the show by providing nonstop action for the entire 15 minutes of their lightweight showdown. Dana White praised the performance of both fighters in an interview after the event. 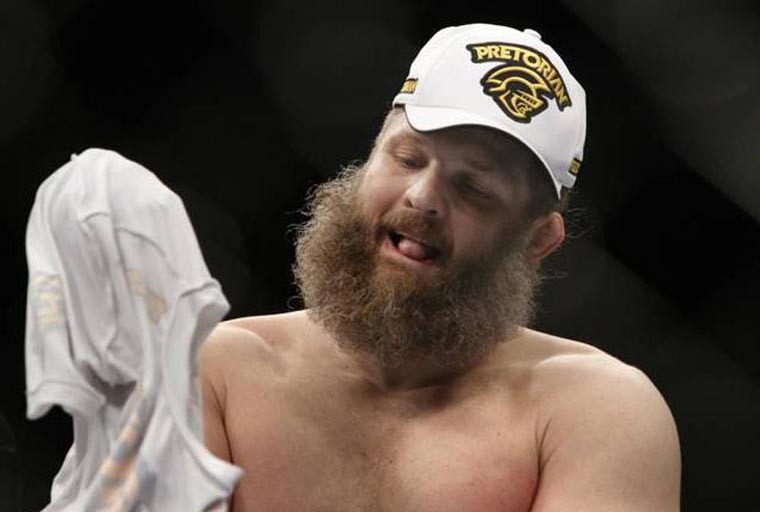 It’s no secret that UFC president Dana White and TUF 10 winner Roy Nelson are not very fond of each other. 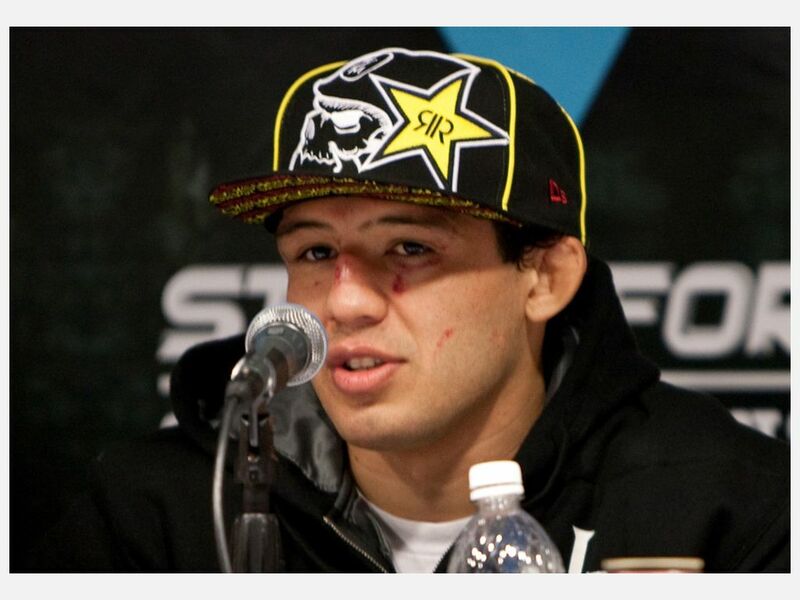 White however, dismissed that notion that he has ill feelings towards the TUF winner. Instead, he insists that he tried his best to like Nelson but it is the latter’s words that created the rough relation between them. Fabricio Werdum will likely have the shot at the heavyweight gold according to Dana White. 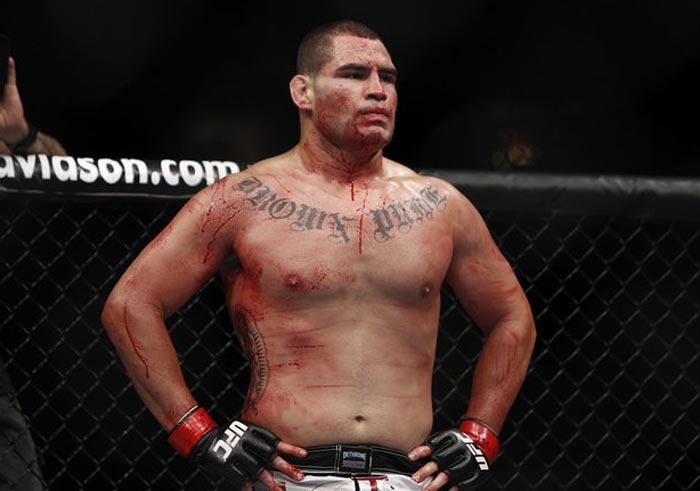 The UFC president made the announcement right after Velasquez’ destruction of longtime rival Junior dos Santos in the main event of UFC 166. 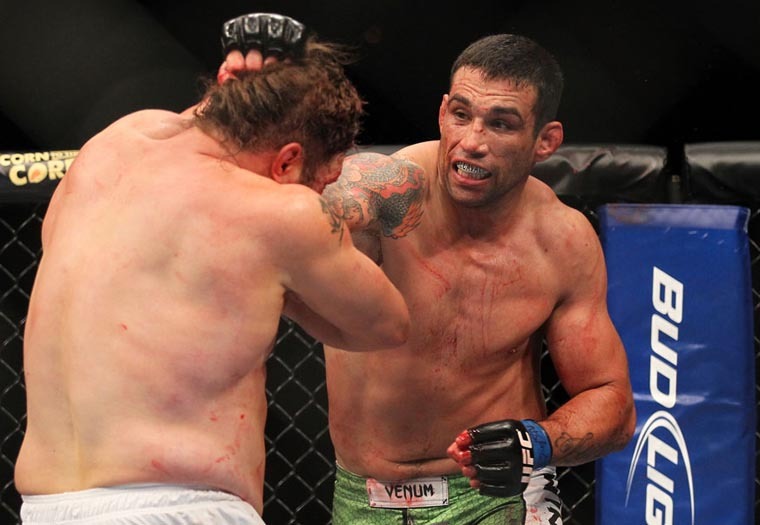 White added that Werdum, with his superior ground game, will provide a different challenge for Cain. Velasquez, who is known to utilize his wrestling skills in most of his fights, will face a legitimate submission artist for the second time in his career. The champ has already defeated Big Nog before wrestling the heavyweight strap from then champion Brock Lesnar. When asked how he feels on the possible Werdum fight, Cain says that he’s fine with facing Vai Cavalo. Rumors of Ronda Rousey appearing in The Fast and the Furious 7 has stemmed last August when Dwayne Johnson tweeted that he will be working alongside Rousey in the latest installment of the Action flick. However, it remained as a rumor when the undefeated athlete elected not to disclose the details of the role. 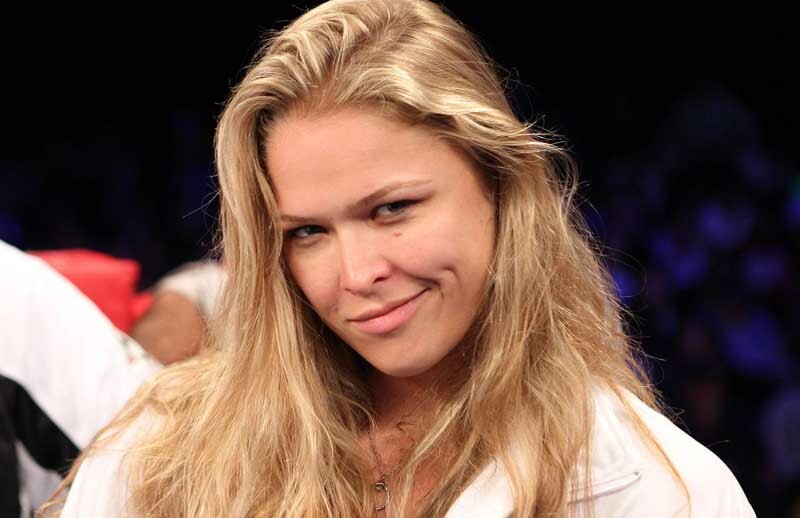 Rousey finally confirmed this weekend that she is officially included in the cast of the movie. The UFC women’s bantamweight champion twitted the confirmation along with the schedule of the shoot. 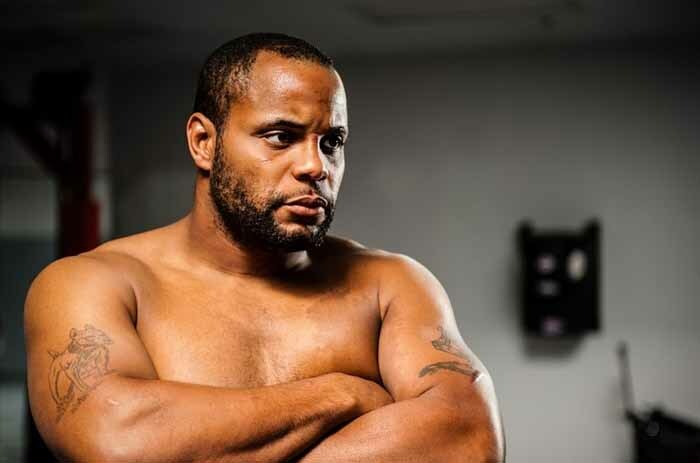 Houston – – Daniel Cormier will fight as a heavyweight for the last time this Saturday night against Roy Nelson in the co-main event of UFC 166. 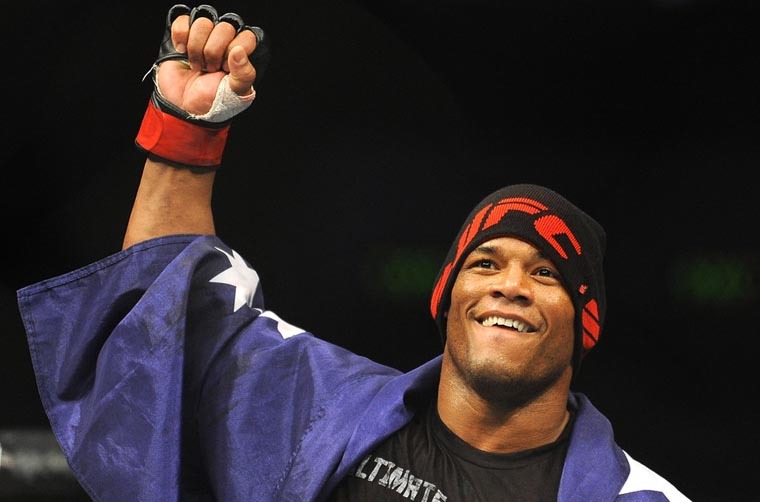 He has earlier said that he will come down to light heavyweight no matter the outcome of the Nelson fight. Cormier’s reasons for dropping to light heavyweight is no secret, he wants a shot at Jon Jones light heavyweight strap. 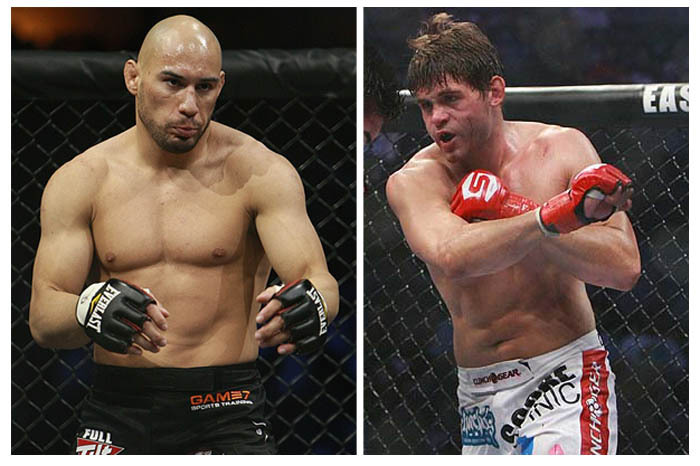 That being said, the former Olympic wrestler stated that is not looking ahead at light heavyweight or past Roy Nelson. Bibiano Fernandez became One FC’s undisputed bantamweight champion when he outpointed the inaugural champ Soo Chul Kim in a hard fought unification match. Fernandez, a three time Brazilian Jiu-Jitsu world champion, imposed his game on his 21 year old opponent by taking him down at will. He spent the most part of the fight at the top of his opponent but he never came close to finishing the fight due to Kim’s excellent defense in the ground. The Korean will later have his brief moment of success when he landed a takedown of his own towards the closing parts of the 4th round. In the end, his efforts went in vain as Fernandez came out victorious after the five grueling rounds. The official weigh in of UFC 166 took place at Toyota Center in Houston, Texas earlier this day. All fighters made the weight limit except from Andre Fil who took the fight on a two week notice. As a result, 20 percent of his earnings will be added to his opponent purse. 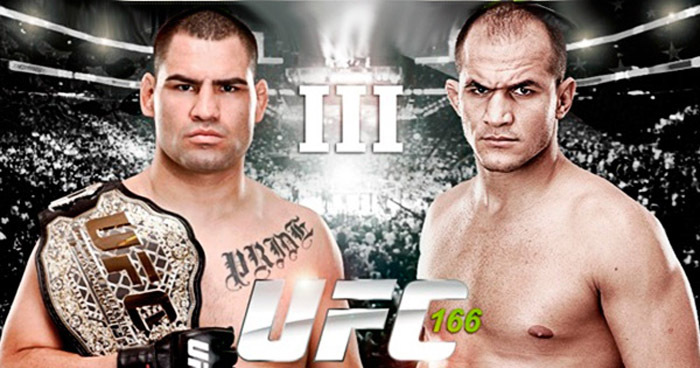 The champ, Cain Velasquez tipped the scales at 141, on the other hand, Junior dos Santos weighted a pound lighter at 140. During the weigh in, dos Santos promised the audience that he will give another knock out but the former heavyweight champ’s words received boos from the pro Mexican crowd. This Friday’s Bellator 104, which took place in Cedar Rapids Iowa, was headlined with a pair of match for Season 9’s welterweight tournament semifinals. The main event was a rematch between the former US team judoka Rick Hawn and Brent Weedman. The two fighters met each other a year ago in Season 6’s lightweight finals and the rematch ended up with the same results. Hawn utilized his superior boxing to completely outclass his opponent. He hit Weedman with several combinations though he never had him in any serious trouble in the entire match. Hawn easily bagged the win with a lopsided score of 30-27 in all the judges’ scorecards.